The Australian Laureate Fellowships scheme gives outstanding research leaders the opportunity to tackle some of the most urgent and complex research issues facing Australia and the world. Professor McAlpine will receive $2,468,738 towards research exploring how a sense of space is generated by the auditory brain. “I’m interested in how the brain represents the ‘auditory scene’; the complex wash of sounds that arrives at our two ears, and from which we make sense of the world. Spatial hearing is necessary for locating the source of a sound, and critical for communication in noisy listening conditions,” said Professor McAlpine. · Dr Ian Jonsen and colleagues received funding for their project which aims to understand the effects of climate change on marine food webs, from plankton production to predation by iconic marine fauna, by integrating data on oceanographic conditions and fish distribution with the foraging patterns and breeding success of seabirds (Grant amount: $213,445). · Associate Professor Mark Carter and colleagues received funding for their project which aims to examine how schools decide about adjustments for students with disability (Grant amount: $191,000). · Professor Mark Wiggins and colleagues received funding for their project which aims to address diagnostic error in advanced technology systems, by providing a mechanism to assess and improve individual diagnosticians’ performance (Grant amount: $362,000). · Associate Professor Nathan Hart and colleagues received funding for their project which aims to develop a new shark deterrent technology to protect surfers and paddlers (Grant amount: $300,000). · Professor Ewa Goldys and colleagues received funding for their project which aims to relieve chronic pain in animals and lay the foundations for future human therapies, using molecular assays, cell technologies and immune/hormonal pain generators (Grant amount: $340,000). 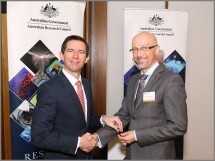 · Professor Michael Withford and colleagues received funding for their project which aims to develop a photonic sensor capability to measure chemical compounds that cause concrete corrosion in waste-water pipes (Grant amount: $576,000). 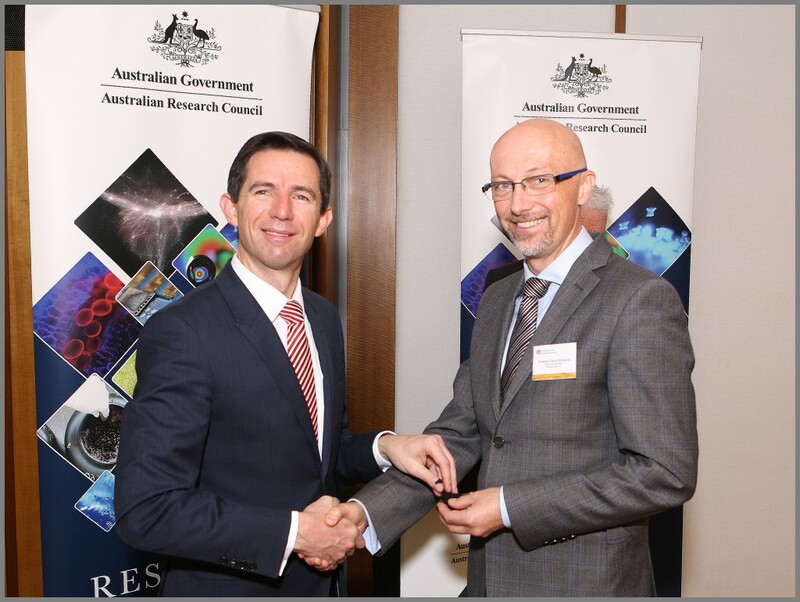 · Associate Professor David Spence and colleagues received funding for their project which aims to create single mode lasers of ultrahigh spectral brightness (Grant amount: $358,000). Photo: Norman Plant Photography. Photo courtesy: Australian Research Council.